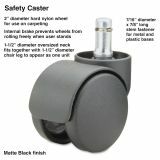 All casters carry the manufacturer’s guarantee against defects in material and workmanship. 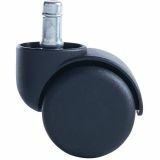 Rolls when you're seated, brake keeps chair from rolling when you stand. 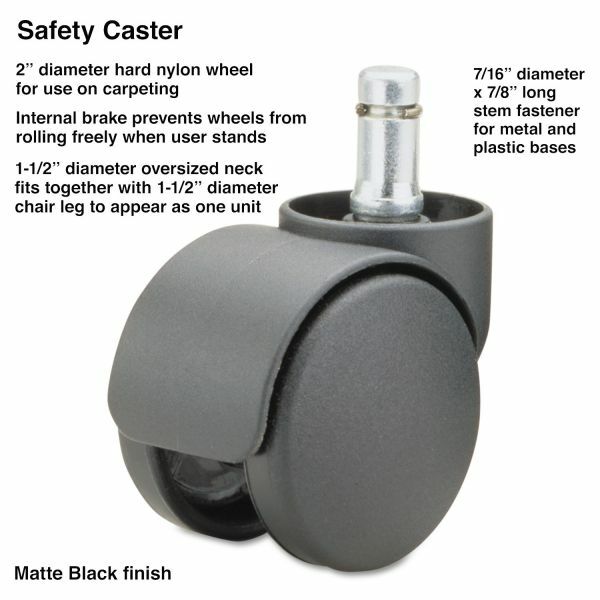 Master Caster Safety Casters,Oversize Neck, Nylon, B Stem, 110 lbs./Caster, 5/Set - Safety Casters provide an internal brake that prevents wheels from rolling freely when you stand up. 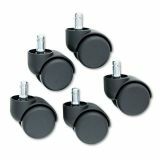 B stem casters with an oversized neck allow smooth, effortless chair rolling while seated and minimize chair movement when no weight is applied. Dual, 2 diameter wheels feature full hoods. Use hard wheels on carpeting. Weight rating is 100 lb. per caster." 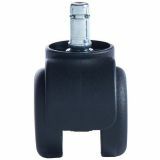 Ideal for hard surfaces and low pile carpeting where runaway chairs are a problem.